Other Family Data Mother of Mayer Nachem Weinberg (1G4), Samuel Weinberg (1E5), Eva Weinberg Bercovitz (b. 1865) and Victor Weinberg (b. 1872). 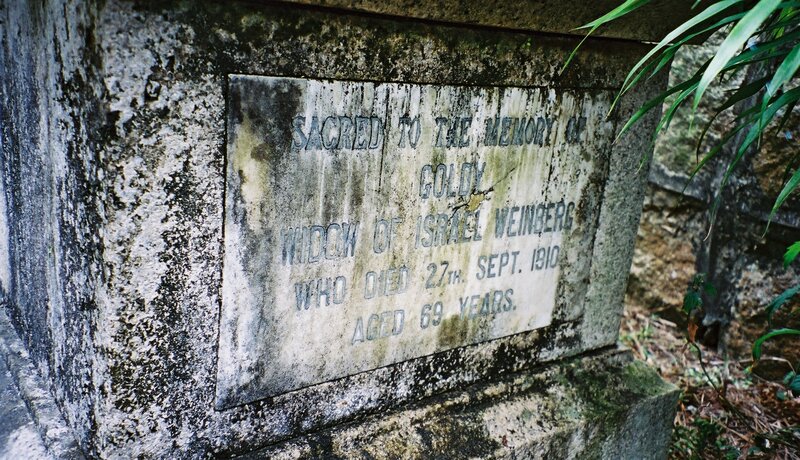 Grandmother of Eva Weinberg (1F6). Mother-in-law of Carl Bercovitz (1H15). 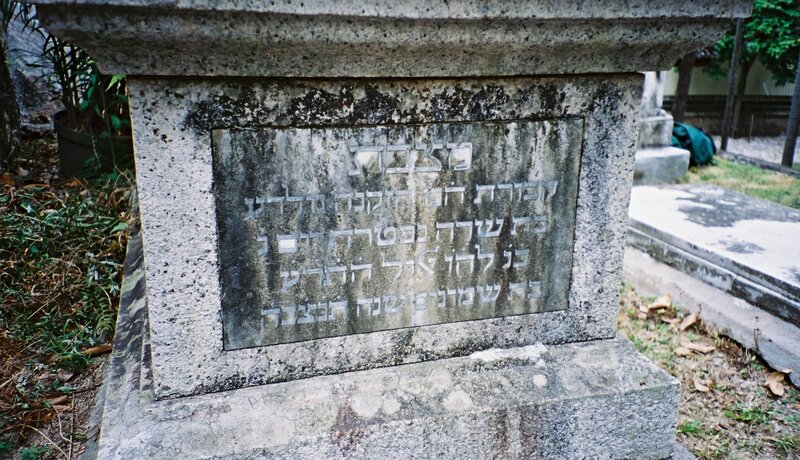 Inscription (Eng) SACRED TO THE MEMORY OF GOLDY WIDOW OF ISRAEL WEINBERG WHO DIED 27TH. SEPT. 1910 AGED 69 YEARS. 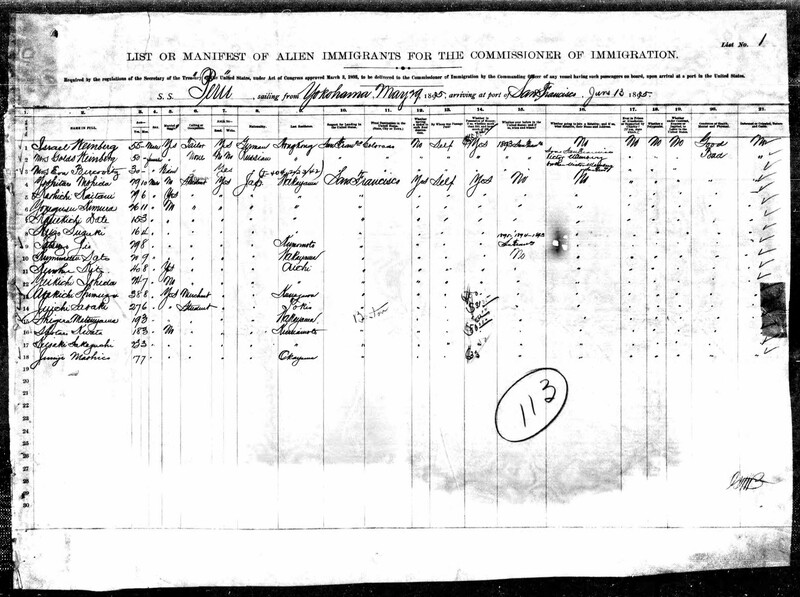 Historical Her name appears on a ship’s manifest for the SS China, which sailed from Hong Kong on 9 August and Yokohama on 19 August 19th, 1893, and arrived in San Francisco on 31 August 1893. She was accompanied on the trip by her husband, daughter (Eva) and son (Mayer). It was noted that Eva was a widow at the time.